Female fully winged. Body and legs bicolored (appearing to be dark brown in life); head yellow with ocellar region dark brown, occipital ridge brown; pronotum largely yellow with blotch shaded and fore coxae brown; meso and metanotum brown, also most of tergite II, tergites III–VI yellow with antecostal ridge dark and a dark area laterally, VII–X light brown; tarsi yellow, hind tibiae shaded medially, hind femora brown; fore wing pale with transverse dark band at sub-basal quarter. 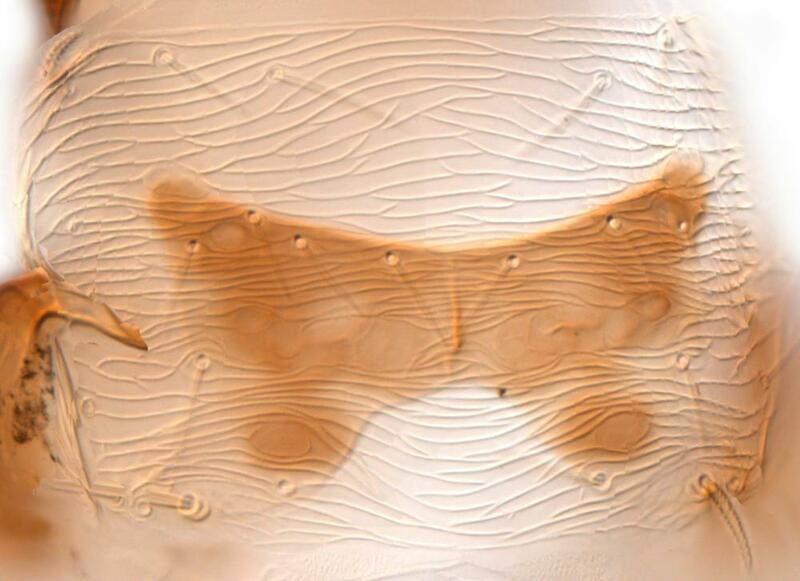 Antennae 8-segmented, III–IV with short forked sensorium. Head with 3 pairs of ocellar setae, pair III on anterior margins of triangle; median postocular setae as long as distance between posterior ocelli; mouth cone long, extending beyond fore coxae. 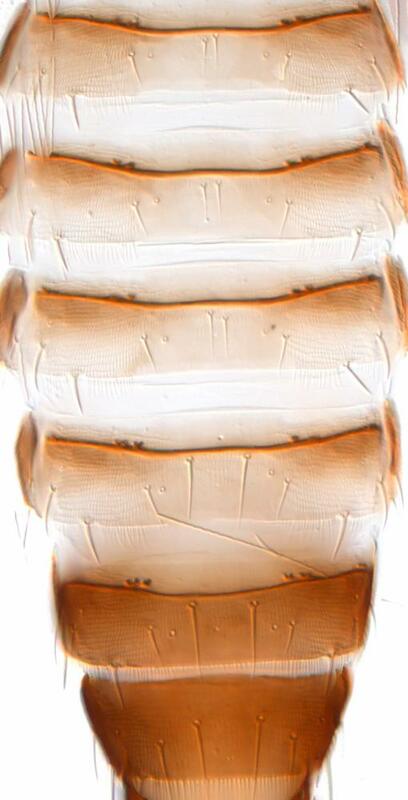 Pronotum with widely spaced transverse striae on anterior half, "blotch" clearly defined with closely spaced striae; posteroangular setae 55 microns. Metanotal striations transverse at anterior, longitudinal medially. Fore wing with first vein setal row complete but penultimate seta displaced to posterior. Abdominal tergites II–V median setae with distance between their bases scarcely twice diameter of setal pore; VIII with posteromarginal comb of microtrichia complete, VII with comb incomplete medially. 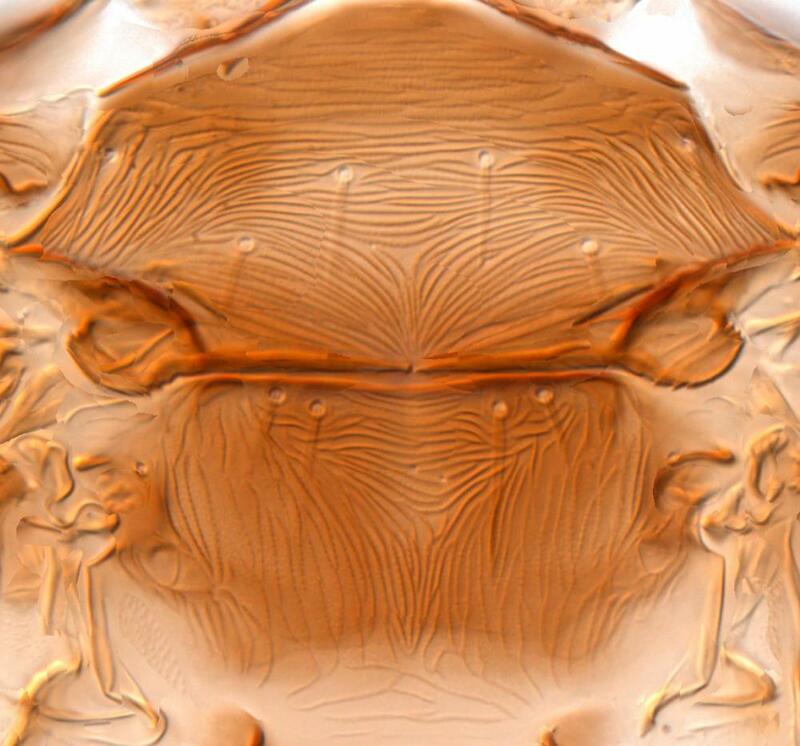 Sternites IV–VI with discal microtrichia restricted to lateral areas. From the other two strongly bicolored species discussed here, N. samayunkur and N. variabilis, this species differs in having only one transverse dark band on the forewing. 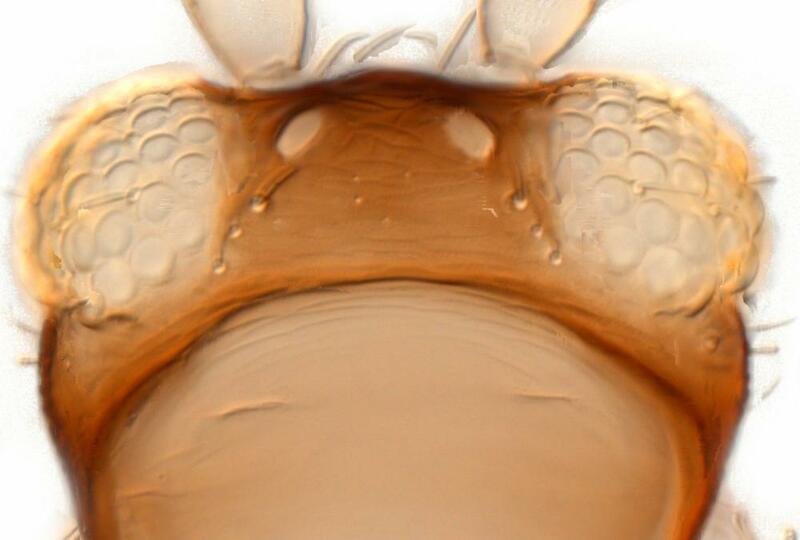 It also lacks microtrichia medially on the sternites. 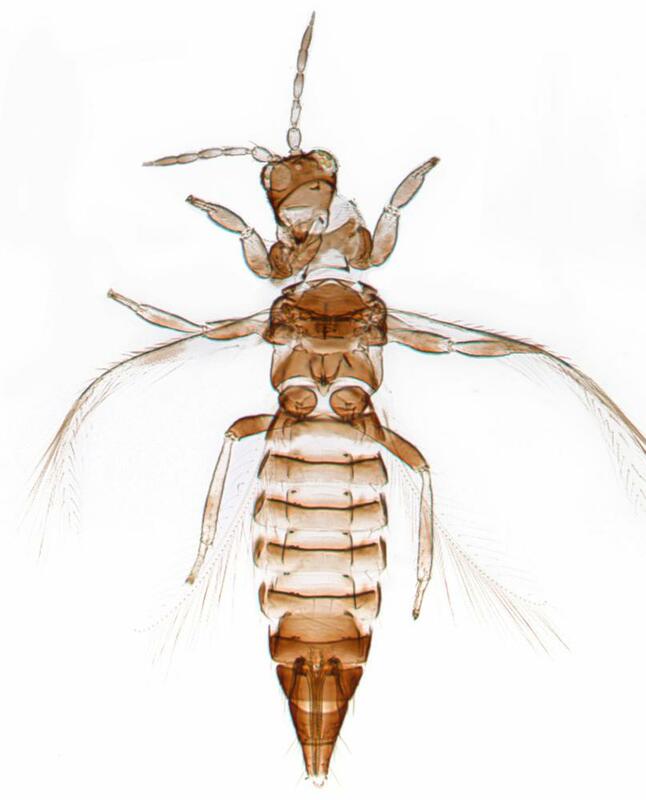 The genus Neohydatothrips is found in many parts of the world and almost 100 species are included. Identification keys are available to 13 species recorded from Central America (Mound & Marullo, 1996), and Stannard (1968) treats 11 species from Illinois, but many of the 35 species described from the USA north of Mexico (Nakahara, 1988) remain poorly defined. Larvae and adults feeding on and damaging leaves. Originally described from "a large perennial lupine", and subsequently collected in California several times from Lupinus sp. (Fabaceae).